Q: I brewed a batch of beer yesterday, pitched the yeast according to the instructions, and when I woke up this morning, nothing was happening. What's wrong? A: Probably nothing is wrong. There is a "lag phase" between the time the yeast is pitched and the time that vigorous fermentation begins. This time varies depending on quantity of yeast pitched, temperature of the wort, and other factors. A long lag time is not good, but try not to worry; give the wort 48 hours for fermentation to become obvious before jumping to any conclusions. Q: I'm an extract brewer, and have some all-grain recipes that I'd like to convert to extract. How do I do this? A: All fermentables (malt extract syrup, dry malt extract, grain malt, sugar, honey, etc.) cause an increase in the specific gravity of the solution when added to water. A common way to measure how much the specific gravity increases is the number of SG points of increase when a pound of the ingredient is added to one gallon of water. Most fermentables used for beer are in the range of 25-45 points per pound per gallon. Values for many of these ingredients may be found in the references mentioned in the Bibliography section. When substituting one fermentable for another, use the ratio of the specific gravity contributions of each ingredient to scale the one you will use to the amount that will provide the desired SG contribution. Example: You have an all-grain recipe that calls for 8# of Malted Barley, and you want to replace it with extract syrup. One of my references lists the SG contributions of these ingredients as approximately 30 points for the grain and 36 points for the syrup per pound of ingredient per gallon of water. You multiply the 8# of grain in the recipe by 30/36 to get 6 2/3 pounds of malt extract syrup. 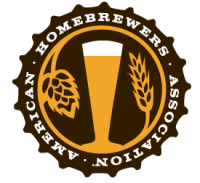 Q: Regarding hops, what are alpha acids? What is HBU? What is IBU? A: Alpha acids are bittering compounds found in hops that are extracted when hops are boiled with wort. The alpha acid "rating" on hops describes how much of the weight of the hop is made up of alpha acids. Hops with a higher alpha acid content will contribute more bitterness than a low alpha hop when using the same amount of hop. HBU stands for "Homebrew Bitterness Unit", which is a recipe unit for hops. It takes into account the alpha acid content of the hop, so that a recipe will call for a certain amount of HBU's rather than an amount specified in ounces. HBU is computed by multiplying the weight of hops in oz. by the alpha acid percentage of the hops; sum for all hop additions. For example, 1 oz of 7% alpha hops will have a HBU of 7. Note that volume is ignored in the HBU, therefore it is important to include the volume of the recipe, or express the hop additions in HBU per gallon (or HBU per 5 gallons) rather than just strictly HBU. IBU stands for "International Bittering Unit", and is a measure of the amount of bittering compounds in a particular volume of beer, rather than a recipe unit. However, the "Hops and Beer" special issue of Zymurgy (see Bibliography) presents a formula for estimating IBU, considering several variables -- alpha acid content, wort volume, wort gravity, and time in the boil. Another way to think of this is that HBU represents the "potential" for bittering beer (the bittering strength of the hops), while IBU represents "actual" bittering, and is a measure of the beer, not the hops. Q: What is "dry hopping"? How should I dry hop? A: Dry hopping is the practice of adding dry hops to beer at some time after the boil. The technique is used to increase hop aroma in the finished beer, as aromatic hop compounds are quickly lost when hops are boiled. Common practice is to add the hops to a secondary fermenter, or if kegging, to the keg from which the beer will be served. Dry hops added to a fermenter should be left in contact with the beer for at least a week or two. The consensus seems to be that the amount of alcohol present by the time fermenting beer is in secondary fermentation is sufficient to prevent bacteria and/or wild yeasts from "riding in" on the hops and contaminating the beer, so sanitizing of the dry hops is not deemed necessary. Either whole hops, plugs, or pellets may be used for dry hopping. Q: What are the differences between 20L, 40L, etc. crystal malts? More generally, what is Lovibond? A: For brewers, the Lovibond degree is a unit used to measure the color of malted barley and beer. Darker grains have a higher Lovibond measure, and contribute more color to brewed beer. Darker crystal malts (such as 60L, 80L, 120L, etc.) will provide more sweet flavor and more color than similar amounts of lighter (20L, 40L) crystal malt. Dave Miller's book (see Bibliography) provides a formula for very roughly predicting the color of finished beer in degrees L based on the grain that goes into making the beer. Q: What is "Wyeast"? How is Wyeast pronounced? What are the differences between liquid and dry yeast? Q: How do I make a yeast starter? A: The Wyeast package recommends making a 1.020 SG wort and pitching the active contents of the package into a sanitized bottle with an airlock to allow the quantity of active yeast cells to build up before pitching into a typical 5 gallon batch of wort. This "starter" wort is usually made from dry malt extract boiled with water at the rate of 2 tablespoons per 8 oz. cup of water. Some brewers like to throw in a couple of hop cones or pellets for their antiseptic qualities. When the starter is at high krauesen (the term is used loosely here, you often won't get a foamy head on your starter, look for visible, strong fermemtation) it's ready to pitch. Typical time for a starter is 24 hours. This technique is recommended for both dry and liquid yeasts. Q: What are some good mail order shops?